Q 1: From the perspective of international law, is the blockade on the State of Qatar and the 13 demands of the countries of the blockade legal and respecting international sovereignty? A: The 13 demands of the Gulf Coalition plus Egypt, as well as the blockade of Qatar, are unlawful, violating Qatari sovereignty by using diplomatic and economic coercion to interfere with activities that are within the discretion of a sovereign state. It is a regional geopolitical tactic that tries to leverage superior power in ways that induce weaker and smaller states to sacrifice their rights under international law. The allegations of support for terrorism are without any factual foundation and are not supported by any credible evidence, and can be leveled at Qatar’s accusers with more justification than the allegation being made against Qatar. Not only are the 13 demands violations of international law, they are also disruptive of proper and customary diplomatic protocol, an assessment reinforced by Qatar membership in good standing of the GCC and its repeated calls for a negotiated end to the crisis. Q 2: The State of Qatar resorted to the International Court of Justice in The Hague to prove the attacks on the rights of its citizens? How do you view these advocates as a legal perspective? A: Recourse to the ICJ is appropriate in situations in which an international legal dispute exists, and cannot be resolved by normal diplomacy. Since the outset of the crisis in 2017 Qatar has repeatedly expressed its willingness to accept third party mediation of the dispute, and to do its part to reach a mutually acceptable political compromise. In contrast, the Coalition merely reiterated its demands and showed no willingness to end the crisis by peaceful negotiation. Qatar has every right to make use of its legal remedies under international law, and if it has a treaty right to resolve disputes with other Gulf states by recourse to the ICJ then this is a constructive step that represents a constructive approach to bring the crisis to a peaceful end in accordance with international law and in the interests of justice. Individuals harmed by this unlawful series of coercive steps should receive relief commensurate to the harm experienced, as well as being relieved of any burdens imposed by the Coalition’s policies. Q 3: Qataris were deprived of Hajj. How does the law and the international community view this Saudi abuse? A: As far as I know there is no international legal obligation that compels Saudi Arabia to allow Qataris to enter their country to complete the Hajj. There may be religious commitments and diplomatic traditions that have long been accepted by Saudi Arabia in upholding in good faith its role as custodian of the most holy of Muslim sacred sites. Such diplomatic traditions, as exhibited by patterns of practice over the course of many years, have created expectations that such entry to Saudi Arabia for such a religious purpose will be facilitated. Whether a regional or international legal duty should be established should be considered and discussed. It would seem reasonable to impose such a legal obligation for entry and security on Saudi Arabia because Muslims are obligated by their religion to do the Hajj at least once in their life, and this religious undertaking should not be obstructed by political interference. The translation of such a religious duty into a legal right is something that deserves careful consideration, perhaps in the context of expanding the right of religious freedom that is a legally protected international human right that may require more direct protection in view of these recent interferences with Muslim entry to carry out the Hajj. Q 4: The Gulf crisis has reached a stage of stagnation. How do you see the efforts of the Gulf, American and European mediation? A: As mentioned earlier, Qatar is ready to submit the crisis to mediation or any reasonable third party procedure, while the Gulf Coalition is adamant in its refusal. As your question suggests there are plenty of willing mediators or third parties from the region and from Europe or the United States. The UN Charter underscores the duty of states to seek a peaceful solution of disputes that threaten international peace and security. Given the turmoil in the Middle East, the Gulf Crisis creates one additional flashpoint that could erupt at any time in dangerous and unpredictable ways. The idea of mediation is a means to give both sides a way of resolving the crisis without either side having to acknowledge defeat or endure some kind of diplomatic humiliation. It seem mandatory, in the spirit of the peaceful settlement of dispute, for the leaders of the Gulf Coalition to accept offers of mediation with a sense of urgency, and not prolong this regionally detrimental crisis that also causes harm to many individuals forced to sever their ties with Qatar, or have their relations with other Gulf countries disrupted in ways that result in unfair, arbitrary, and often heavy burdens. Q 5: The State of Qatar plays a pivotal strategic role as a regional negotiator through its strong relationship with a number of major countries and its support to a number of countries, most recently Turkey. How do you evaluate this role? Q 6: How do you see the problematic developments between Saudi Arabia and Canada? And how do you to evaluate Saudi foreign policy. (The siege of Qatar, the war of Yemen, the Canadian crisis)? A: Saudi Arabia behavior toward Canada expresses the same effort to bully foreign governments by threats and intimidating moves whenever its leadership feels that its policies have been criticized or its motives challenged. Canada’s criticism of Saudi behavior is quite appropriate given the international character of human rights standards, especially where, as here, legitimate Canadian interests are at stake. The Saudi response to Canada is consistent with their belligerent behavior with respect to Qatar, as well as their outrageous tactics of warfare in Yemen, which include repeated bombing of civilian sites and interferences with the delivery of food and medicine in a country where there exists a strong internationally verified likelihood of mass starvation and where the population is suffering from a series of dire health challenges. The Saudi Arabian attack upon and intervention in Qatar is a moral and legal scandal that as with Syria displays the inability of either the United Nations or geopolitical actors to protect the peace and security of small countries that become targets of aggressive warfare. Q 7: How do you see the role of Abu Dhabi and its quest to dominate the Gulf region? A: I am not an expert on the behavior of the UAE in the region, but from recent appearances, their behavior resembles and reinforces the hegemonic ambitions of Saudi Arabia, and threatens to cause wider regional warfare by its support of policies of confrontation with Iran. It is important for peace, security, and sustainability that this kind of hegemonic diplomacy by UAE should be abandoned. Among other concerns, the region is very vulnerable to the hazards of global warming, and these aggressive moves cause political preoccupations that divert energies and resources from challenges that are present and need to be addressed before it is too late. Q 8: How would ‘the Deal of the century’ affect Saudi Arabia and the UAE. How do you interpret this deal and its impact on the Palestinian cause and the Arab world? A: Of course, in one respect it is premature to comment on ‘the deal’ as its contents have not been formally disclosed, and are the subject of rather divergent lines of interpretation. Q: What is your international low opinion about the latest news published by New York Times describing the electronic spying operations of Israel and Emirites, including the targeting of the Emir of Doha and a lot of political leaders? These spyware developments are serious but hardly new in what they seek to achieve. Throughout the history of international relations governments pay money and use a changing variety of methods to gain access to the secrets and private communications of their adversaries. What makes this issue surface as in these recent allegations of the use of spyware against private communications of the leaders of Qatar, including the Emir and his family, is the growing sophistication of the technology and its ability to penetrate what had previously considered to be secure channels of communication, evidently including surveillance of cell phone conversations. Another striking feature of the present atmosphere is the role of private sector profit motives either reinforcing or challenging broader foreign policy positions. For instance, the UAE has no formal relations with Israel, but it happily purchases spyware from an Israeli company, NSO, exhibiting a relationship that could not exist without the knowledge and likely the approval of the Government of Israel. From the perspective of international law, espionage has always had a double reality. On the one side, it is an unlawful form of interference with the sovereignty of a foreign country, which the target government criminalizes with punishments inflicted at its discretion, while the government responsible for the espionage glorifies its agents, or falsely denies their dirty deeds. On the other side, its practice is so common, and taken for granted, that it is difficult to regard allegations of espionage or surveillance as other than propaganda, with the government complaining, pretending to be outraged while itself relying on similar mechanisms to carry out espionage for its own security or to advance its policies. practical way to regulate and implement any prohibition of unacceptably intrusive espionage that can be agreed upon. A novel feature of digital spyware is that can penetrate deeply into the most secret recesses of foreign societies without requiring any physicalintrusion, and therefor it is spyware without spies, and resembles drones on the rather frightening frontiers of warfare where the human presence is eliminated, and the battlefield populated by machines capable of causing devastation of the most severe character. As the Edward Snowden disclosures demonstrated a few years ago, governments are also using this technology to establish elaborate surveillance networks directed at their own citizenry, undermining trust and freedom in democratic societies. Thus the issues raised by the new types of spyware extend beyond espionage as practiced in international relation, and touch upon the nature of constitutional democracy in the 21stcentury. These are important issues for our time that need to be faced as openly as possible, but without a misleading exhibition of legalism and moralism, which thinly veils propaganda designed to blame others for behavior that is common to all international participants. The mainstream media in the West has focused relentless outrage on claims of Russian hacking of the American electoral process without even taking note of relevant American practices. The establishment’s most trustworthy public voice of imperial reason, Thomas Friedman, refers to Russian behavior as an ‘act of war.’ The very slippery ex-CIA Deputy Director, Michael Morel, uses even more inflammatory language, describing Russian hacking as ‘the political equivalent of 9/11.’ There are numerous raucous calls for a ‘proportionate response’ by the United States including even such provocative and punitive acts as equipping the Ukraine with offensive weaponry. What is extraordinary, even for those familiar with the geopolitical dimensions of world politics, is for this debate and discourse on alleged Russian hacking to proceed with no questions asked about the thick dossier of comparable American electoral meddling all over the world over the course of decades, including taking much more direct forms via bribery, assassination, and assorted other consequential interferences than anything the Russians have done. When we think further about what has been hacked, the hullabaloo is comedic. Wikileaks is accused only of leaking the awkward disclosures of internal Democratic National Committee documents that revealed embarrassing Democratic staff concerns about the way Hillary Clinton was handling her emails and confirming that the DNC actively worked to undermine the primary prospects of Bernie Sanders. If another Snowden had done the original hacking, it would be treated as another case of whistleblowing with ambiguous consequences. The disclosures would be an admittedly controversial status, especially objections to the intrusions on the privacy, really secrecy, relating to the way political parties manipulate the American electoral process. At the same time the emails allowed citizens to know parts of shabby goings on behind the scenes of party politics. Is this truly an interference with American democracy of a magnitude that warrants dangerously escalating international tensions? Barack Obama, while reacting with calm language, goes along with these exaggerated reactions, falsely implying by silence an American innocence of undertaking similar to, and often far worse than what the Russians, under Putin’s direction, are alleged (without even some supportive evidence) to have done. What is more fundamentally at stake is a challenge directed at the one-sided prerogatives of the United States as the first aspiring ‘global state’ in all of history. The Russians violated the First Law of Geopolitics as implemented by the United States in its role as global state: “You are prohibited from doing to us, what we are doing to you and others.” The Second Law: “You will be severely punished if you violate the Fist Law.” The Third Law: “You are forbidden to object to, or even mention, the First and Second Laws of Geopolitics.” The Fourth Law: “The public media is expected to express outrage when the First Law is violated, call for the implementation of the Second Law, while remaining quiet about the presence of double standards and moral hypocrisy. This way of interpreting right and wrong, or the application of law, inverts normal understanding and expectations. What we expect is that all states are either subject to a legal constraint or that it doesn’t exist. We do not expect some to be subject to constraints and one or more others to be entitled to have discretion to act as it wishes, and do so with impunity. Yet international society has long formally and informally allowed power to take precedence over law and the legal ethos of equality. Even the United Nations Charter in establishing the Security Council embedded geopolitics in the formal structure of the world organization by granting the five winners in World War Two with permanent membership (P-5) and the right of veto. This combination means effectively that for these five states compliance with international law is completely voluntary and only those decisions that meet the approval of the P-5 become mandatory. Put more vividly, the UN was able to act decisively in Libya (2011) because there was no veto, while in relation to Syria over the course of the last five years there has been no capacity for the UN to act due to the right of veto threatened and exercised by Russia and China. Another example–Israel has been consistently shielded from UN censure by the Security Council over the years due to U.S. reliance on its veto power. The geopolitics of the global state are similarly structured, although less explicitly. Standards of criminal accountability apply effectively only to losers of major wars (Germany, Japan after World War Two) or countries in the Global South. The United States has exempted itself from any prospect of accountability except by symbolic actions resulting from civil society initiatives. For instance, during the Iraq War of 2003, there took place a series of legal inquiries conducted under civil society auspices. These culminating in a session of the Iraq War Tribunal in 2005 that reached conclusions through its jury of conscience that the United States and the United Kingdom, and their leaders and collaborators, were guilty of aggressive war and violations of the laws of war. The Western press in the liberal democracies upheld the 4th Law of Geopolitics by maintaining a steadfast silence about these proceedings, although the Iraq War Tribunal proceedings carefully documented its findings and enjoyed the participation of some of the world’s leading jurists. The nuclear weapons states, as part of the nonproliferation bargain to induce other states to forgo the weaponry, promised back in 1968 to engage in good faith negotiations to achieve nuclear disarmament along the way to demilitarization and general and complete disarmament. Although the International Court of Justice in 1996 unanimously upheld this interpretation of the treaty obligations of the nuclear weapons states there has been no movement in the direction of compliance. In fact, Barack Obama, awarded the Nobel Peace Prize partly because of his anti-nuclear posture, approved of a $1 trillion dollar modernization and development program for the American nuclear arsenal over the next thirty years and for the eight years of his presidency has never called upon the United States and other nuclear weapons states to implement their clear NPT treaty obligation. The same geopolitical structure is present with respect to ‘humanitarian intervention’ and general standards of compliance across the spectrum of human rights violations, ranging from torture to judicially enforced racism. The West under American leadership operates as if it enjoys a right of intervention, preferably to be exercised with UN backing, and a corollary tacit right to be free from reciprocal claims even to correct its most flagrant human rights abuses. When the George W. Bush presidency overtly relied on and justified interrogation practices widely viewed as torture, there was no call for the implementation of the international legal disallowance of torture and related abuses of human rights. For the United States to renew a reliance on waterboarding is, at best, a matter of policy, while for other countries such practices would be regarded as a matter of law. My friend and colleague, Rich Appelbaum, raises an important point. Granted this kind of interference has been used a major foreign policy instrument of the United States, what Russia apparently did with respect to hacking and possibly even tilting the election in Trump’s favor is clearly undesirable, and should be treated as unacceptable. Yet even here the context is complex. First of all, to retaliate against Russia without even acknowledging that the U.S. Government has habitually interfered in foreign elections creates a false consciousness among the American people and invites accusations of hypocrisy. There is also a deeper problem associated with security in a state-centric world with a weak UN. If our leaders were confronted by a foreign election in a major state in which one of the candidates was a warmongering extremist and the opponent a moderate, would it not be rational, and in the national, and even the global interest, to do all that could be done to tilt the election away from the extremist. From the Kremlin’s perspective, Hillary Clinton was perceived as hostile and militarist, while Donald Trump was evidently regarded as friendly and supportive of a lower American military profiles, especially in the Middle East. I think these perceptions are faulty overall, but all the evidence suggests that such views are widely believed in Russia and sincere. Regulating the use of cyberspace is decidedly a gray area. International law and the UN Charter give little guidance beyond the vague directive to respect territorial sovereignty. This Russian hacking incident may serve to provide the political impetus for a lawmaking treaty binding all countries to a framework that at least establishes guidelines for governments of sovereign states to follow. Even if such a framework can be agreed upon, a big if, there are many areas of doubt as to what is best considering the present structure of world order. A first question is whether to keep cyberspace as a playground for geopolitics, and a second is whether it is desirable to prohibit all forms of meddling in foreign societies, and their elections and internal politics, no matter how dangerous and malevolent we perceive foreign developments to be. In a globalizing, interdependent, and nuclear armed world it would be playing with species suicide to decree by law, morality, and practice detachment from developments in foreign societies that pose deep threats beyond territorial borders. In the end, perhaps, the best solution is to treat such hacking incidents and related disclosures the same way as espionage. Our spies are heroes, rewarded and honored in various ways, their spies are notorious intruders subject to the harshest punishments that criminal law can impose. Espionage goes on by every conceivable means, including increasingly reliance on the best tools that innovative technology possesses. The ‘game’ played is to defend our ‘secrets’ against foreign spies and domestic whistleblowers by all available means, but to do everything possible to learn their secrets. We can hope for prudence, but little more, in this double game, and maybe this is the way to handle hacking intrusions in our political space: scream about violation of our electoral process, while doing our best to exert control over theirs, but not succumb to the sort of outrage that raises international tensions in dangerous ways. We should take account of the fact that sometimes espionage provides information about adversaries that is reassuring, and discredits domestic hawks calling for dangerously adventurous policies. I am someone who fervently wished, despite strong reservations about Clinton’s foreign policy inclinations and past record, that Clinton has won the election by norms of the electoral college as well as a result of the popular vote. I regret deeply the Russian role in hacking the DNC, their failure to disclose the RNC hacks, and deplore their profoundly flawed judgment in believing that they and the world would be better off with a Trump presidency. No more confusing mind games are played by sovereign states than in the context of ‘espionage,’ ‘treason,’ and the work of the professional spy. All important governments seek secret knowledge of what other governments and their leaders are doing and planning, and it matters little whether these governments are allies or adversaries, especially with respect to espionage. Espionage is the unseemly twin of secrecy, and national security is becoming ever more dependent on a country keeping its own secrets while learning those of others. In the amoral world of global espionage there are shockingly surprising cooperative liaisons, and bargains worked out behind closest doors even with the direst of enemies. Treason (and patriotism) are closely related to the ethos of espionage, and exhibit the politically correct subservience of individual conscience to the security policies of the state. 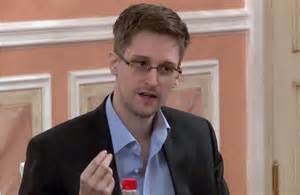 Edward Snowden’s massive disclosures were confusing in this respect as he disclosed secrets about what amounted to acts of de facto espionage carried out by the government against American citizens, as well as others. In effect, the surveillance apparatus of the U.S. Government was abolishing the distinction between ‘self’ and ‘other’ or ‘friend’ and ‘enemy’ in world politics. For some, this made Snowden a traitor guilty of treason because he disclosed to the world some premium national security secrets of his own government. For others, Snowden was a hero as he acted benevolently, sacrificing his personal wellbeing, career, and safety to warn the publics of the world, but above all the American public, that the government was abusing its powers in fundamental ways, threatening to privacy and the very fabric of democracy. Snowden acted from the belief that expectations of trust and privacy should be the first principle of a functioning constitutional democracy as the United States purports to be. This does not mean that security claims can never be given precedence, but that their scope should be constrained by strong evidence justifying specific actions, and that meta-data consisting of indiscriminate and totalizing forms of surveillance are fundamental threats to republican commitments to constrain government in state/society relations. 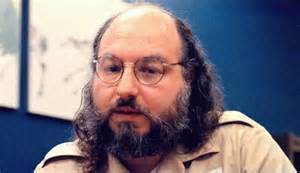 The latest example of this confusing and contradictory optic that pertains to the work of a spy is illustrated by the controversy swirling around the scheduled release on November 20th of Jonathan Pollard who has been in prison since being convicted of espionage on behalf of Israel 30 years ago. As with Snowden, there are many liberals, and even some on the left, in the intelligence community, and among anti-Israelis who view the decision to release Pollard as setting a horrible precedent. The argument being made is that if Pollard had not been a Jewish-American ardent Zionist with ties to Israel he would have been sentenced to death as a traitor, and such a punishment would be deserved given the secrets he passed to Israel. Others point out that Pollard had become a bargaining chip in relations between Israel and the United States, and that his release was an expression of cynical geopolitics, a way of softening the anger in Tel Aviv associated with the Iran Nuclear Agreement that is viewed by Israel, both its leaders and most of its public as a dangerously imprudent initiative. James North and Philip Weiss question the release from the treason angle. They contend that Pollard’s release is dubious because he provided Israel with information during the Cold War that allegedly was then likely traded to the Soviet Union (reportedly in exchange for allowing Jews to emigrate) that might have disclosed information to Moscow that exposed American agents to death or capture. [“MSM avoids central Pollard question: Did Israel trade secrets with Soviets for emigres?” Mondoweiss, July 30, 2015] For this reason, the crimes of Pollard cannot be excused or mitigated as acts of conscience to protect Israel from threats associated with undisclosed activities in hostile Arab neighbors, and his parole is rendered as problematic. It is never made clear in this line of reasoning whether Pollard was privy to such secondary uses made of his work as a spy in the pay of Israel, and whether that should make any difference in assessing the case for parole. Parole should be granted or withheld based on the behavior of a convicted person during his time in prison and the degree to which his release might produce further harm to society. There is a question underlying this debate about the relationship between conscience and national identity. Is obedience to the laws of the state of residence and nationality the highest claim on behavior? I believe that a principled and reasonable disregard for national law could morally and politically justify acts of espionage of the sort that Pollard was alleged to have committed, including a genuine dedication to the promotion of the opportunity for Soviet Jews to emigrate to Israel. Apparently, conscience was not the main motivator for Pollard, and for this reason alone, he does pose a threat to society more serious than being one among thousands of rogue espionage entrepreneurs that pass secrets back and forth around the world as a matter of profession or for the sake of adventure and material gain. As such, whether Pollard is released or not is more a matter of public empathy than a question of whether or not his crime was such as to make his release either overdue or unacceptable. Those who endorse Pollard’s release most enthusiastically are mainly drawn from the ranks of those who identify unconditionally with Israel, contending that he has already suffered too much, considering that he was acting on the basis of his Zionist conscience to provide Israel with highly classified intelligence information that it was supposedly, in any event entitled to receive from the U.S. Government according to a memorandum of understanding between the two governments. Beyond this, the claim being made by supporters is that Pollard has served already a disproportionately long prison sentence considering that his acts of espionage were on behalf of a government that was a friend and ally of the United States, and besides, that he has serious health issues that make his release justifiable on humanitarian grounds alone, especially given his age and harmlessness. Whatever knowledge Pollard may have had about U.S. secrets is 30 years old, and presumably worthless, making it purely vindictive to continue his imprisonment or impose strong conditions on his release. 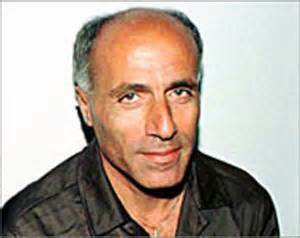 For Israel, Pollard became over the years a high profile symbolic hero (second only to the captured Israeli soldier Gilad Shalit) whose release was avidly sought on a priority basis by a string of prominent leaders including Yitzhak Shamir, Yitzhak Rabin, Shimon Peres, and Benjamin Netanyahu. It seems that the Israeli government wanted to show the depth of its commitment to someone whose liberty was lost because he acted to uphold Israeli security interests. As a matter of public relations, Pollard’s release is being portrayed as an act of good will by the U.S. Government and as a routine exercise of discretion by parole authorities in a context where no convincing rationale exists for extending Pollard’s time in jail. Such a stance is opposed by some former top-ranked security officials, including Donald Rumsfeld, who contend that Pollard still has information that could damage U.S. security interests. In this regard, such right-wing critics of Pollard’s release claim that he possesses ‘a photographic memory,’ and thus continues to pose a threat to American security interests, surely vindictiveness disguised as paranoid patriotism. Behind this argument about espionage, treason, loyalty, and parole is the strange person of Jonathan Pollard whose life as a master spy remains an enigma of multiple dimensions. Pollard would be a good model for an inverted 20th century version of Dostoyeski’s ‘underground man,’ living a lavish life style by reliance on dark and devious undertakings. It seems a no-brainer that Pollard should never have been hired as an intelligence analyst. His application for employment had been rejected by the CIA, apparently because of the numerous instabilities uncovered in his private life. Yet he was later inexplicably hired by U.S. Naval Intelligence despite the organization having reliable information that Pollard was a drug-using loose cannon whose multiple lies distorting his past were detected by a polygraph test. Although the facts are contested, it is well established that Pollard was a Zionist true believer drawn to the Israeli experience since his childhood. As a young adult he became a mercenary and mercurial spy in Israel’s pay. He actively sought, in collaboration with his first wife, to sell secret information to South Africa and even Pakistan as well as to Israel, partly to deal with private financial troubles that included heavy indebtedness. His behavior while serving as a U.S. Government employee seemed altogether bizarre, including his undisguised and careless seizure for private use of large quantities of highly classified materials outside his area of responsibility. He even had trouble convincing Israel, at first, that he could be trusted to provide useful information without detection, but after finally succeeding in gaining Tel Aviv’s confidence, was paid significant sums during his rather short career as a spy. Nevertheless, in 1985 when Pollard was on the verge of being apprehended in the United States on spying allegations, he sought refuge in Israel’s Embassy in Washington. Israel embassy guards turned Pollard away, evidently not wanting Israel to be tarnished by their association with him. After leaving the embassy he was immediately arrested by U.S. enforcement officers waiting on the periphery. In keeping with this posture, Israel at first denied any involvement with Pollard, then in 1987 issued an apology to the U.S. Government for receiving information from Pollard. Israel only conceded the professional espionage relationship with Pollard in 1998. Perhaps, this earlier failure to protect someone on their payroll as a spy, explains Israel’s later full court press to gain Pollard’s release. In my view, releasing Pollard is the proper course of action, not because of Israeli pressures, but despite them. President Obama tried to portray the release as a law enforcement issue, nothing more, nothing less. Because of the suspicious timing given the tensions associated with the Iran diplomacy and the resulting inflamed domestic political context, this effort to downplay the release did not gain traction. Pollard served long enough for the crimes that he committed, poses no credible threat to the security of any country, and behaved well as a prisoner. To deny parole for another 15 years would be unconscionable given these conditions, or even to condition its grant on forcing Pollard to remain in the United States appears vindicative. In my view, espionage has long been one way clever people make a living, assuming the risks of detection and hypocrisies associated with criminalization of the activity. It is certainly within the prerogatives of the sovereign state to criminalize the improper use of the knowledge acquired in the course of public employment in an espionage capacity. What Pollard did was surely a breach of contract and trust that breaks national criminal law. Yet espionage may be morally and politically justified (and may be even imperative) in exceptional circumstances where truth-telling and whistle blowing serves as a safety valve against abusive forms of state secrecy and a variety of political dangers posed by government policies. Pollard does not belong in this company. He seems more like an unstable and rogue opportunist than a self-sacrificing idealist even if his behavior is evaluated from an Israeli Zionist perspective. Perhaps, Pollard will partially redeem himself, and his legacy, by writing an honest memoir that unravels his mixed motives, tangled pre-prison life, and search for redemption. He seems to harbor no resentment against Israel for their refusal to give him sanctuary within their embassy back in 1985. On the contrary, while in prison he married an Israeli woman associated with the far right, seeks to be repatriated to Israel where he was awarded citizenship, and has expressed gratitude for those in the Israeli government who struggled for his release. Given Pollard’s past, it would not be surprising if he tells his story wrapped in an Israeli flag. Those who criticize Pollard’s release on patriotic grounds, contending that his information helped an enemy (Soviet Union) or hurt the United States, are prioritizing loyalty to the state over competing considerations that could motivate such behavior. The ethos of treason as a high crime is the apotheosis of statist absolutism, overriding the exposure of the most extreme state crimes, for example, disclosing plans of a contemplated war of aggression initiated by a first strike with nuclear weapons. Calling Snowden or Vanunu ‘traitors’ is a perversion of moral principle, condemning those whose public acts deserve praise and protection given their nature. Not all disclosures of state secrets should be treated as expressions of civic virtue. Disclosures that violate the law to be justifiable must be deemed as sincere acts of public conscience that appear reasonable based on surrounding circumstances. Loyalty to the state continues to be the north star of conventional patriotism. For the citizen pilgrim solidarity with an emergent eco-humanist insurgency is the keystone of 21st century political community and ethical responsibility deserving precedence when in conflict with nationalist and tribal affinities.